As part of our fast track package, you will receive a fully developed website as well as a splash page. 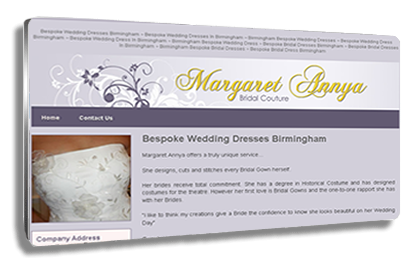 Websites vary in design and layout, all aimed to promote the company and its products further. The websites we offer are developed to enhance SEO and promote your latest products and services. They are created by our team of designers/developers and include brief background information on the company, offers, products, services, contact details and keyword information to increase SEO ranking. The website is completely free when you sign up for our very popular fast track package. In addition to a fully developed website with SEO you will receive one of our useful splash pages to help build your internet authority and achieve the ultimate goal of attracting more visitors to your website which will expand your business. To see the full website shown on the right then please click here.